Here’s a wonderful way to make the perfect background paper for fall cards or scrapbook layoust. Heat emboss your stamped leaves and then use watercolors for a bright pop of color, the embossing with help resist the paint so your image will stay crisp. 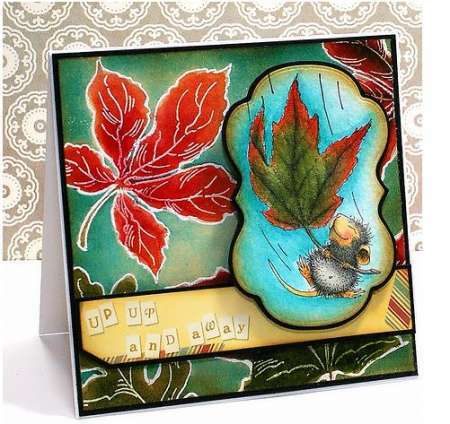 Find out more over on the Stampendous blog.